Guys, you’re never going to believe it. I actually cooked dinner! I didn’t just make a peanut butter sandwich or peanut butter oatmeal. I freakin’ cooked a real meal. And that was part of the goal of this blog–for me to become inspired to cook some hanger reducing, healthy meals. It has begun friends, oh yes, it has begun. On Wednesday last week, I stopped at the Farmer’s Market near my apartment and discovered that they had some beautiful brussels sprouts on offer. Brussels sprouts are such a rockin’ fall side dish and so good for you. So I decided to buy a bunch and plan to make a meal for my boyfriend for our Friday date night. I based the meal around the brussels sprouts and I went all fall on his a**. Cooking style. I started with the brussels sprouts and pre-heated the oven at 400 degrees. I washed and trimmed the sprouts and then stuck them in a large zip lock bag. I tossed the sprouts with 3 teaspoons of olive oil, sea salt, and freshly ground pepper. I shook that bag to the point where all the boys came to the yard, then emptied the olive oil, sea salt and pepper covered sprouts onto a cookie sheet and baked them for about 35 minutes. 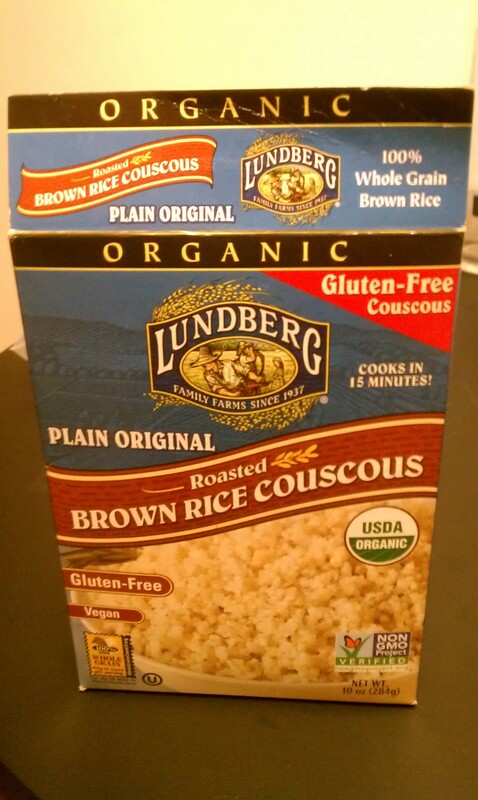 While those delicious BS were getting all blackened and roasted, I started to cook some brown rice couscous. Remember the movie Office Space? Remember that the boss’s name was Lundberg? Anyhooooo, I cooked this stuff in 2.5 cups of vegetable broth (for extra flavor) and a half cup of water for 15 minutes. While that was cooking, I sauteed some nuts and dried fruit in a pan with some olive oil, so that I could add a little sumpin’ sumpin’ to the couscous for some extra crunch and deliciousness. 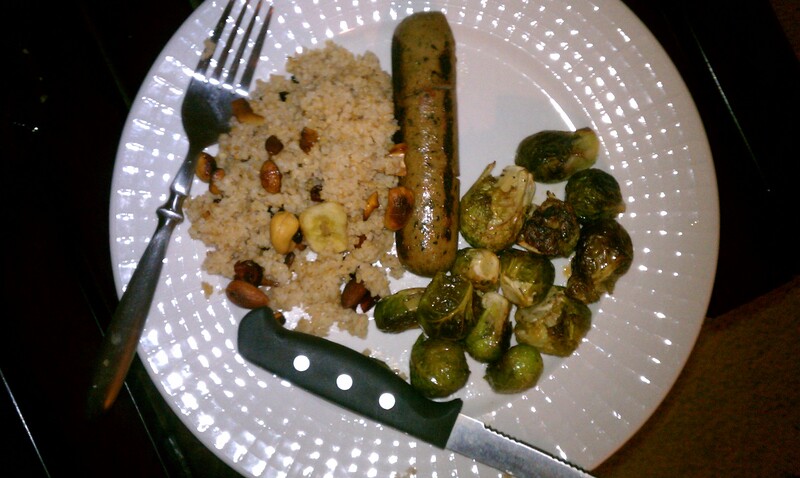 While the couscous and brussels sprouts were getting all good and cooked, I heated up some Trader Joe’s Chicken Sausage as my main protein. As the chicken sausage cooked for 7 minutes, I made sure to shake the pan that the brussels sprouts were cooking in to ensure that they got evenly roasted. Then I added my nuts and fruits mixture to the couscous to encourage extra flavor seepage for a few minutes before all was said and done. Looks delish, right? 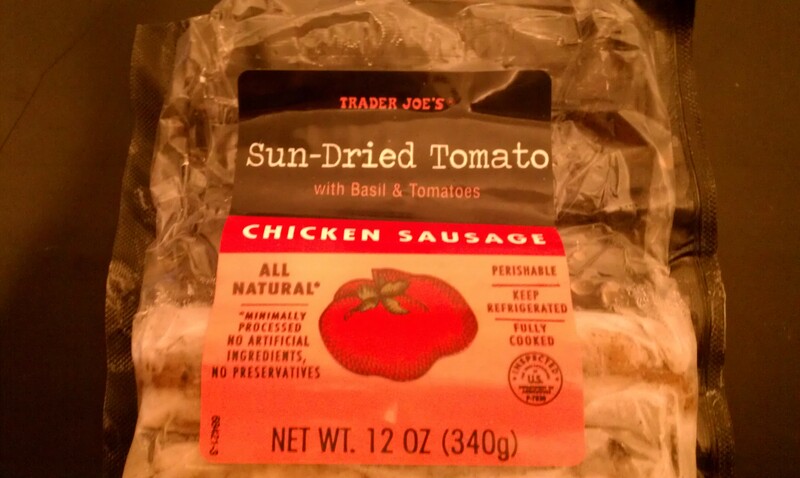 I ate only one chicken sausage but my boyfriend ate two. It made me feel dainty. Brussle Sprouts taste like crud. I’m starting to wonder if Hanger is a specificially female trait. I just want to mention I’m beginner to blogs and really loved your website. Likely I’m planning to bookmark your blog . You really come with really good articles. Bless you for sharing with us your blog site.